when was the last time you wanted to save your data manually, but had troubles with remembering how to do it the better way? My today's article will be focused on that. Adding manual backups is a plus to all the automatic processes taking place on your iPhone, iPad or Mac. It may be useful when you want to free up some disk space, take your data to work or simply keep an eye on your files and what and where was saved. I am going to tell you how to do this in a couple of various ways on your mobile Apple devices and your desktop Mac. 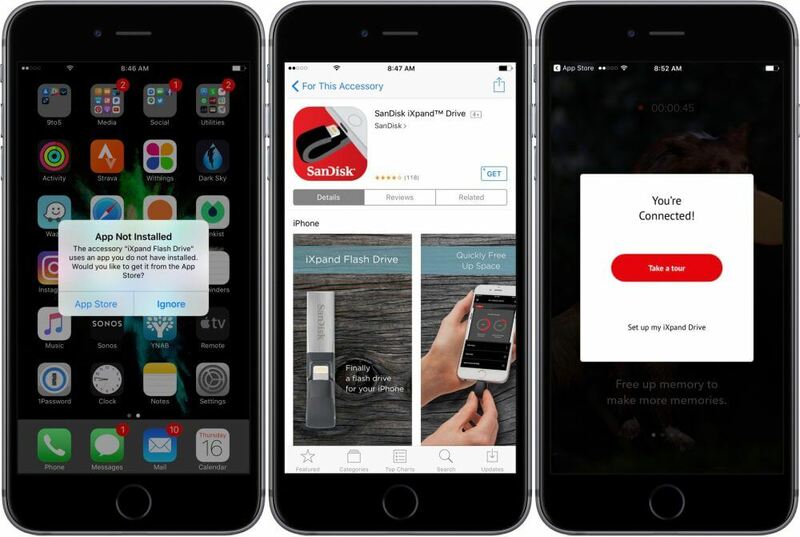 Running out of storage is a common trouble for iOS devices. I bet even the most large ones that have 128 Gb suffer from this problem from time to time. Here are useful options for those who doesn't own a Mac or a PC. This option is already built in iOS and MacOS. Let's start with some file we'd like to save. For example, let's take a random PDF file. After taking it to iCloud, I get the access to it from any device after logging into icloud.com website. After you've found the file you need, tap on it and find the share button. You will see one with an arrow in a square. It looks like on the image below. This button may appear in various places, it depends on a specific application you utilize. After you've found it and tapped on it, select 'Add to iCloud drive' like on the picture below. 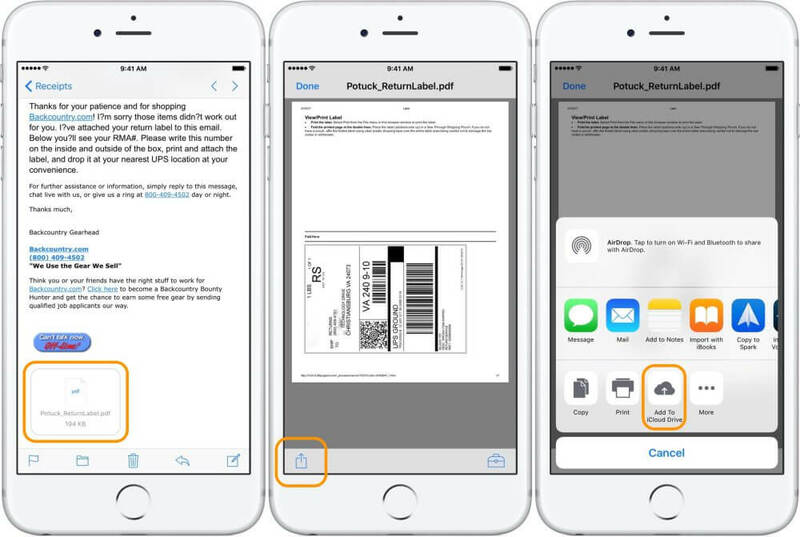 Your device will offer you options of where to save your document. As for me, I'm saving it to the folder named 'Documents'. After you have selected the point of destination, it will be saved there. You can see all your data saved in the iCloud with a special iCloud Drive app. I enter the iCloud Drive application, go to the 'Documents' folder and find my PDF there. The pros of utilizing iCloud is an opportunity to do it without any external devices. 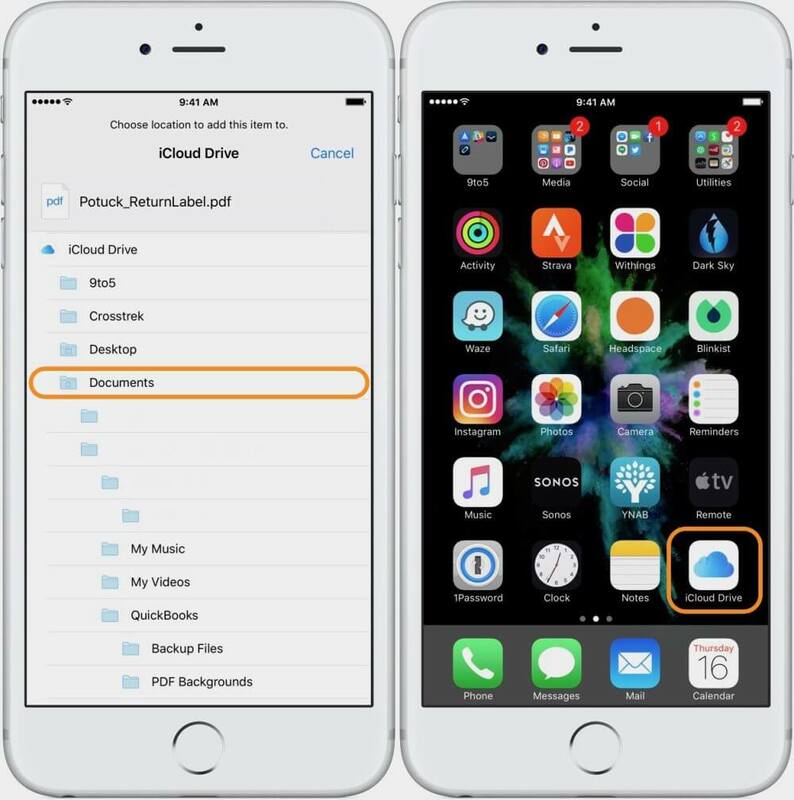 What's more, you can access your files from any device with the Internet connection via icloud.com. Just keep an eye on how much of your iCloud storage is left and remember that it's better to upload files one by one. This variant may be perfect, if you need to store a large amount of data that is too large for a cloud service. It is also a great option in case you are running out of storage on a mobile device. In one of my previous articles, I have told about how to use external drives to copy files. Thanks to Apple's innovations, we have a chance to use such a method. However, it appeared not so long ago. I've told that SanDisk flash drive I'm using is a nice option too and it even has its own app! I assume this way comfortable and handy. However, you may choose another one. 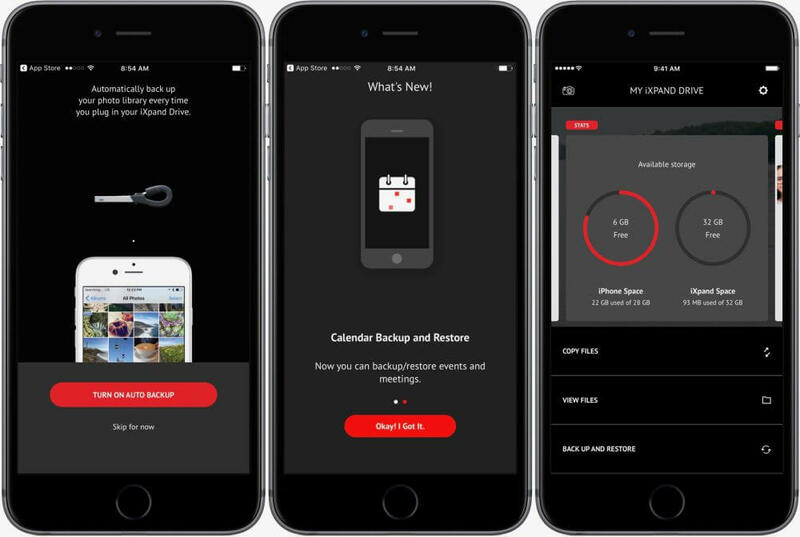 You may select to back up all your photos automatically every time you connect the iXpand Drive to your iPhone, or to save & manage your data manually. Honestly saying, the first option is not automatic in the full sense of this word, still it may be handy. Moreover, you can back up contacts, calendar and other things except ordinary files and multimedia. If we continue this topic, we'll see other handy options for copying a large amount of files from iPhone and iPad. For example, people often use SanDisk Wireless stick that can store from 32 to 200 Gb of information, or LaCie Fuel that can store up to 1 Tb. As I've told earlier, Flash drive can be a nice option both for mobile and desktop devices. However, for Macs there are better variants with 1 Tb storages. Note, that for a MacBook Pro you'll need to get an adapter for a USB drive, or a device that is compatible with USB-C. if you have another Mac, it may be compatible with an ordinary USB, so you won't need to make any extra purchases. 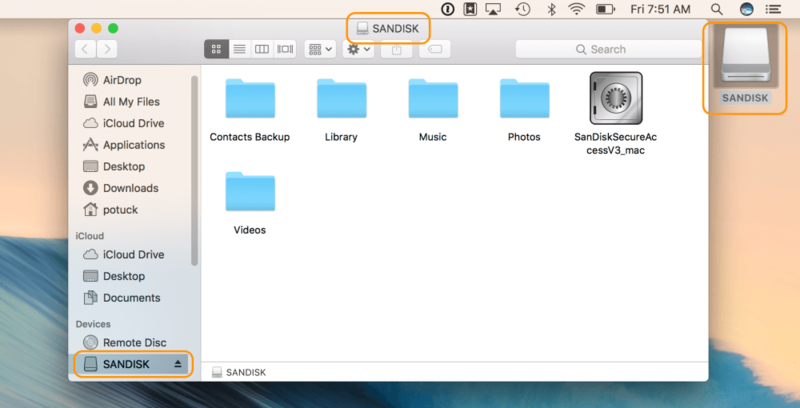 After plugging an external drive into your Mac, it will appear in the upper right corner by default. If it doesn't show up, launch Finder, go to 'Preferences' and check the 'External disks' box. Click on the external drive icon twice, it is situated in the upper right corner of your screen. This will open a new window with the contents. The area at the left bottom shows you all the devices connected to the Mac. You can use them further or eject them. From this point, you can move to any folder of your Mac and drag & drop them to an external drive. It will copy to a new place. 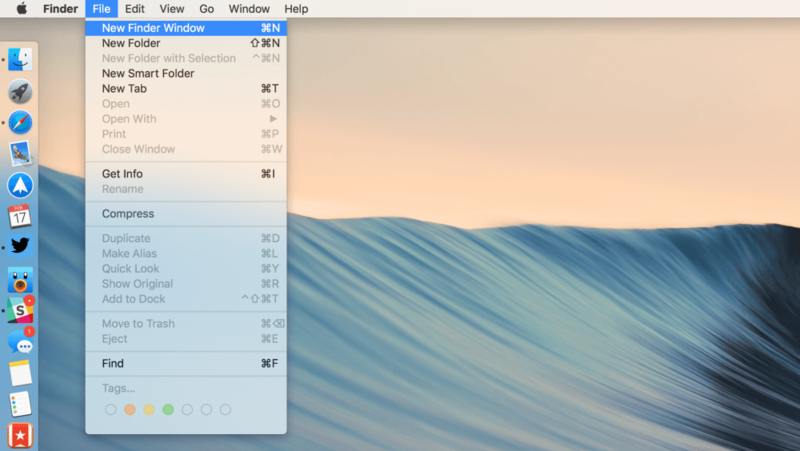 For making the process even more comfortable, you may use 2 Finder windows one next to another. Go to 'File' and select 'New Finder window' in the menu bar to do that. Opening two Finder windows, as it is shown on my screenshots, makes the further work easier and faster. By default, the files you copy to an external drive stay on your Mac as well. But you can delete them to free up more disk space. If you need to move several files at once, hold down the Command key, click all the files you need and drag them to another Finder window. If you need to create new folders and organize your drive, right click or hold the Ctrl key & click, a menu will appear, choose 'New Folder' in the list. After you've done everything you wanted, make sure to eject your external HDD to avoid any problems with it in the future. In my situation, I right click and eject my Sandisk as it is shown on the screenshot. One of the last options in this article will be iCloud. It works much the same as on iPhones or iPads. Run Finder, a new window will open. Open a second one to make the navigation process more handy. Next, select the files you need to move to the iCloud storage. NOTE, that the file won't copy to iCloud, but it will move there, without leaving any copies on your Mac. If you need to story a copy there, choose 'Duplicate' after right clicking on the file. If you don't want to keep copies on your Mac, just drag and drop your files to the iCloud drive. For example, here is how the file from my iCloud drive looks like. So, moving the file won't leave a copy after going to iCloud. Note all the lines highlighted. They say 'iCloud drive', always make sure if you don't mess between the windows. 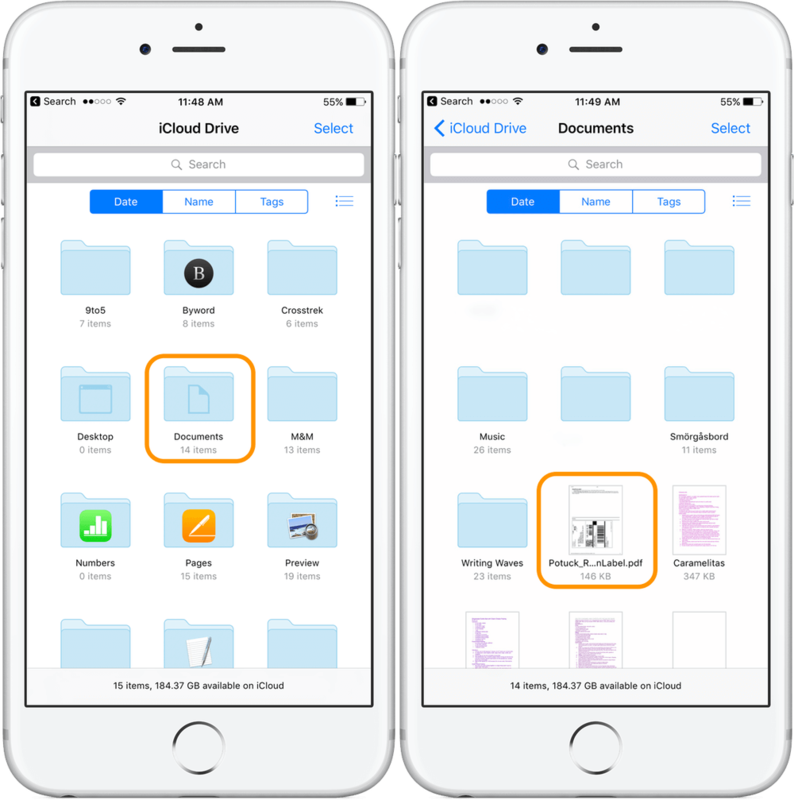 You will see the files appeared in the iCloud storage that can be easily accessed from your Mac and iOS devices. Just log in iCloud and get your files. This method can be replaced by using Google Drive or Dropbox. They offer free plans as well. So, pick one of these options, try to save your files somewhere, choose the most comfortable method. I'm sure you will find the one that suits you! Subscribe to learn more tips on working with Apple devices.